ResMed, one of the leading companies in the respiratory equipment industry, lives up to its reputation once again with the debut of its first portable oxygen concentrator, the Mobi. 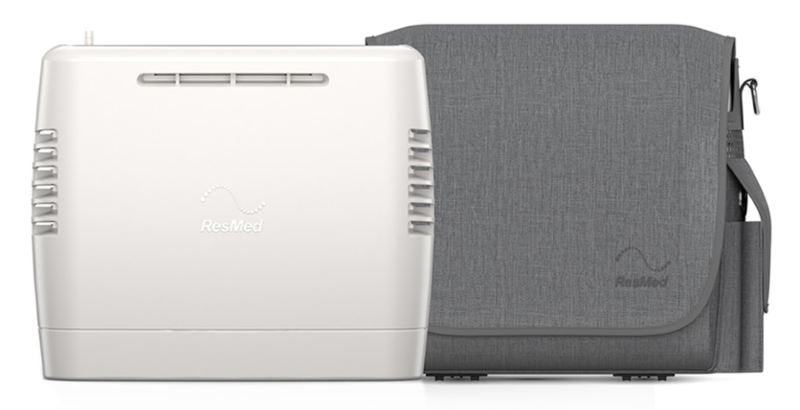 As one of the most technologically advanced Continuous and BiLevel Positive Air Pressure (CPAP/BiPAP) sleep therapy manufacturers in the industry, ResMed has truly changed lives with every breath. Their award-winning machines have provided relief for over two decades to customers who struggle with sleep apnea and other respiratory conditions worldwide. The San Diego-based company has revolutionized respiratory equipment through their cloud-connected devices which now serve an excess of four million customers, in order to better cater to the individual needs of their customers. CEO Michael Farrell has overseen the development and production of some of the most successful products on the market including the Astral, the AirFit 20, and the AirTouch F20, Now, ResMed is allowing their customers the freedom they deserve. 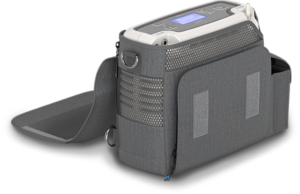 The Mobi is ResMed’s first branded portable oxygen concentrator. While in-home devices are designed for a specific medical condition, the Mobi has been designed for the active chronic obstructive pulmonary disease (COPD) customer. This portable oxygen machine will weight less than five pounds. Combined with a lasting battery life and stylish carrying case, the lightweight concentrator allows customers to experience a new level of mobility at home or on the go. When traveling by car, it can easily be charged through the DC outlet. It is also FAA airline approved, making it perfect for the frequent airplane traveler. The Mobi is ideal for active customers who frequently engage in physical activity or exercise, which is incredibly important for individuals dealing with COPD. The ResMed Mobi portable oxygen system is projected to hit the market in the late second-quarter of 2018 and will be available to all U.S. patients through their Home Medical Equipment (HME) providers soon. What liter flows does it offer? ResMed has not released specifications; however, it is most likely provides pulse flow settings from 1 to 5. Likely NOT Liter (short for LPM)! POC Flow is described as Pulse Setting. Don’t confuse the two as that could present medical issues. Exactly, which is why my response stated that it would likely provide pulse flow settings 1 to 5. Oxygen is a prescribed drug and the standard measurement is LPM(liter per minute). The prescription is written using LPM. The pulse flow pocs ignore the standard and make it impossible to pick a poc and say, “that one matches or will meet the expectations of the doctor. There are no other drug companies that can hide what their product does or will do. Why do we allow them to get away with it??? They are putting our lives at risk. The FDA needs to set standards for them to meet. It will allow us to get the dosage prescribed. Write the FDA, talk to your congressperson, raise heck with the company that supplies your poc. Force the FDA to set some standards for pocs! Agree with Gerald Miller. I’m not sure the home medical equipment suppliers understand the difference. I’m waiting for a lightweight poc that actually can deliver lpm. Look at the improvements in technology in general and, say, the pacemaker for hearts. Is it because oxygen is a gas, or is it because not enough research is being done? Gerald, I see your point but have mixed feelings about getting unaccountable/invisible career govt employees involved in regulating yet another industry. (I say this as a self-funding POC user and career private sector employee of a non-profit that helps/enables said bureaucrats to implement their uninformed interpretations of vague legislation produced by even less informed Congress Persons…a long way of saying that I’ve seen how the sausage is made.) I might agree with the standards you want, but my hot button is cheap, non-proprietary batteries. Others may want interchangeable sieves or USB trickle charging. I’ve seen passionate comments on YouTube demanding local helpdesk and in-home, same-day hardware support in the middle of Nowhere, Alaska for any brand and model. Others will discover a right for “free” govt funded POCs, like the lady in my pulmonary rehab sessions who dressed well, wore nice jewelry and drove a late-model luxury car to the sessions – but complained that she was forced to drag an O2 tank around because neither the govt nor her insurance co. would buy her a POC. Sometimes govt involvement is helpful. Very often it just adds complexity and cost. I’d prefer to let the market sort out the good from the bad, even though it may take a while for this relatively new industry to consolidate and mature. Websites like this and a growing number of YouTube channels are helping with that, and you can be sure the manufacturers are paying attention. And no, I don’t represent any players in this biz. Just another user with COPD here. If I have any investments related to the industry they’re buried in a mutual fund somewhere. I got my insurance company involved in getting answers to my technical questions about my requirements from my supplier, who seemed annoyed when I asked. I am going to follow up on your suggestions. Thanks. Just get an Inogen One… everything else is hot garbage. POC,s should be set up on patients by respiratory therapist who can evaluate the unit with the patients condition. Oximetry with a 6 min walk test while recording the SAO2 to determine if the patient can tolerate the POC! Just my hot button on the subject. And ALL have their limits even Inogen. The Mobi is a pulse only portable concentrator. The statement “technologically advanced continuous…” was in reference to the manufacturer’s CPAP products. If you need a continuous flow POC, I recommend the Philips SimplyGo, or the SeQual Eclipse or eQuinox. It’s out there now and while it is a pulse (1-4) delivery POC, it takes the standard bolus (puff) of oxygen that is released on other POCs at the detection of the inhale and stretches it out to 30% of the inhalation period. They call it Pulse Wave Technology. It seems like it would result in less o2 wasted (the big puff at the beginning often fills the nostril and some escapes at higher settings.) It’s certainly got to be easier on the tissues of the nose. Do you know the size of the bolus? My research tells me Inogen One G4 is 7ml, pulse, so at setting 3, bolus 21ml, is inadequate if I try to walk rather than slowly stroll. The SimplyGo Mini bolus is 11 (33 at setting 3, comparable to 2LPM on my “continuous” home unit). When I go to the gym, where I do NOT work up a sweat), I use my Mini on #4, bolus size 44, and it keeps my oxy up & pulse down. These machines each have their uses and it’s too bad they’re so expensive, including especially extra batteries! Again, anyone able to get the bolus size info? Since the Inogen One G4 provides a minute volume delivery, the bolus size will depend on your breath rate. The G4 at setting 3 provides 630 ml/minute so it provides a 21 ml bolus if your breath rate is 30/minute, but will be higher if you have a slower breath rate (31.5 ml at 20 breaths/minute). The Mini works the same way, thus it provides 44 ml at setting 4 at 20 breaths/minute but will reduce to 29 ml at a faster breath rate of 30 breaths/minute. Unfortunately, ResMed only provides the pulse flow settings of 1-4 for the Mobi. I have been unable to find the total amount of oxygen it provides on their website or in their literature, although I expect it to be similar if not less than the Inogen.